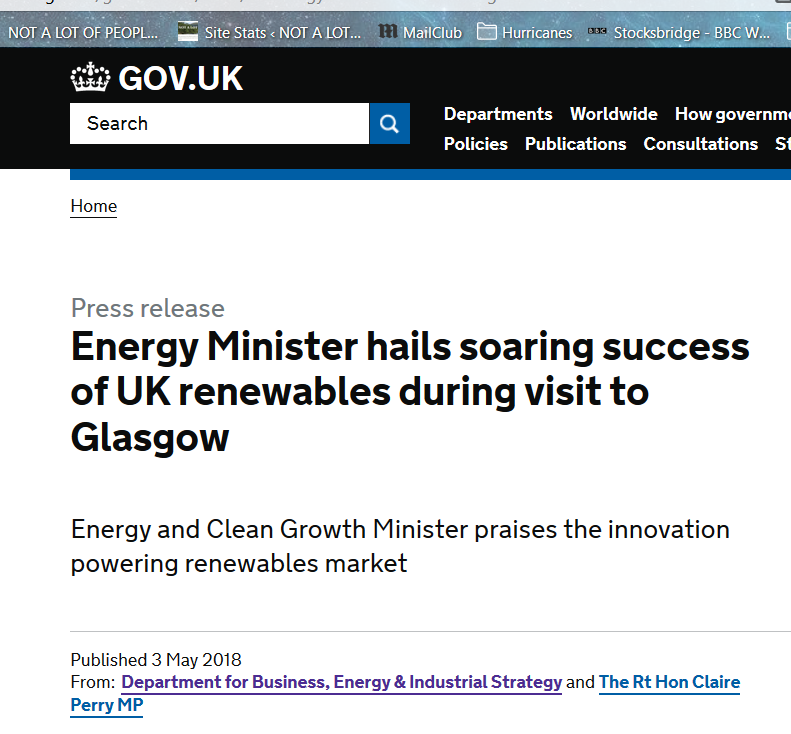 Claire Perry Hails “Soaring Success Of Renewables”! Somehow medieval windmills are the cutting edge of progress. The growing success of the renewable industry in meeting the UK’s climate targets will be praised today by Energy and Clean Growth Minister Claire Perry in a keynote speech to the All-Energy conference in Glasgow today (3 May 2018).